I first read this book in 1979. At that time, in my late 20's, I was more than 50 lbs. overweight, had periodic severe asthma, increasing frequency of severe colds and flu, and was suffering from depression. 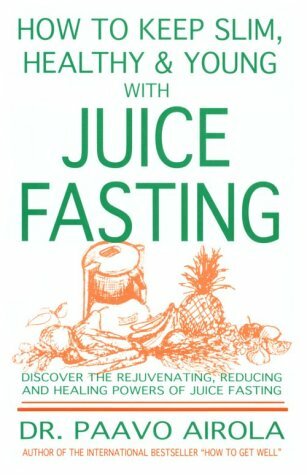 My first juice fast was 30 days. It is not possible to describe in writing the positive changes that took place in every aspect of my life, physically, mentally and spiritually. I have done extended fasts (1 - 4 wks), many times since then. Dr. Airola's advice is not "dated," as some readers suggest. It is "classic" and "timeless," because fasting is literally the oldest known health practice in recorded history. Jesus Christ both practiced and recommended fasting to his followers as the ultimate spiritual and physical cure. (Recall, that prior to beginning his ministry, he went into the wilderness for 40 days to fast and pray.) Oddly, most animals have much better instincts than "modern" man - when they are sick or injured, they refuse to eat in order to conserve internal energy in order to allow healing. One other thing is very obvious from reading the few negative reviews of this book - in every case, these are people who did not have either the desire or the will to put it to the test. It is much easier to criticize something you know nothing about. Common sense should tell us that drugs and surgery are not the answer to problems created by a modern lifestyle which has brought upon us many "civilized" diseases - cancer, heart disease, diabetes, high blood pressure, atherosclerosis, mental disorders, schizophrenia - to name just a few. There are few books that literally have the power to save a person's life, but, this is truly one of them.